air quality | Odd Job Handyman Services, Inc. 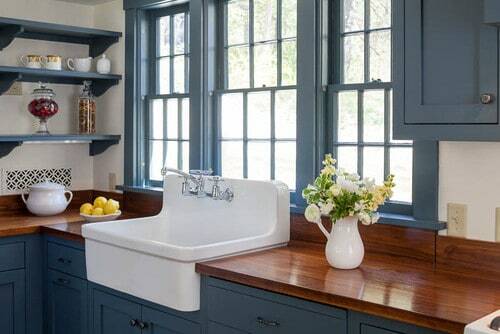 Here are 5 small fixes you can make that will have big impacts on your indoor air quality. It goes without saying that if your dryer is blowing hot air that’s full of dust, hair, and lint into your house, your air quality isn’t going to be great. You want to make sure that the vent hose running from your dryer to the outside is intact and tightly sealed, with no kinks or holes. You need to make sure that any joints are sealed using metal tape, as common duct tape will deteriorate over time. Mold build-up in your home can cause flu or cold-like symptoms and make the air smell downright funky. 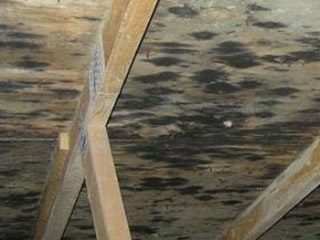 Mold is usually caused by moisture hanging around where it doesn’t belong. A leaky pipe or faucet in your basement or kitchen can cause moisture to build up over time, and cause mold to grow. So, a leaky sink isn’t just an annoyance, it could be a health hazard! Hire a handyman to fix your leaky pipes as soon as possible, and your family will feel all the better for it. Once again, most problems with air quality are caused by unwanted moisture hanging around. The bathroom fan, when working properly, will remove steam from the bathroom after those long, hot showers you like to take. If you think there might be something wrong with your exhaust fans, don’t hesitate to call someone to repair or replace your bathroom exhaust fan promptly, and limit the damage to your health and quality and life. Like a leak in your pipes, moisture from the humid outside air can cause mold to develop in walls and furniture. Keeping a tight seal between your home and the outside world is one of the easiest, most cost-effective ways of saving energy and ensuring that you won’t need to spend big money to repair water damage. 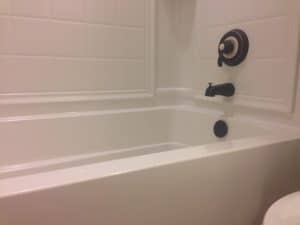 The caulking in your bathtub and shower also help keep steam from seeping into walls and causing water damage where you can’t see it until it’s too late. The best medicine is preventative medicine, so it’s important to re-caulk regularly. And here’s a helpful tip that has nothing to do with moisture, but everything to do with keeping your lungs clear and your family healthy. All furnaces for your home come with a filter that needs to be replaced every few months to keep the air clear of dust and dirt particles. If you don’t know where this is, don’t worry — professional handymen can do it quickly easily, while they’re taking care of the other items on this list.